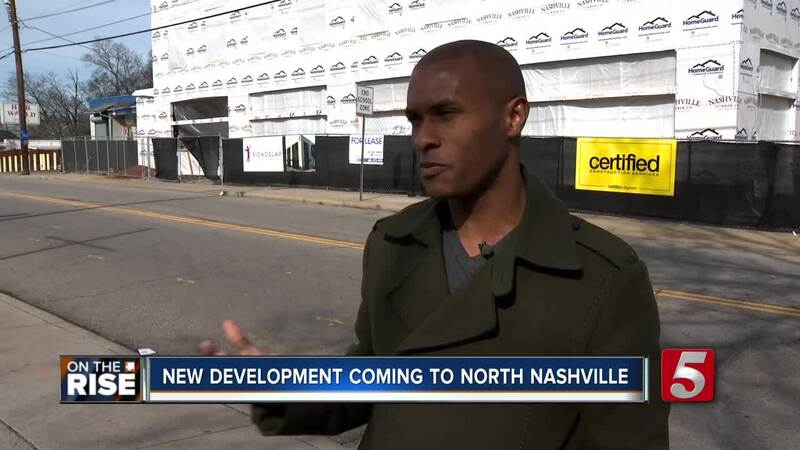 New development to offer retail businesses and condominiums on Buchanan St.
NASHVILLE, Tenn. — A north Nashville mixed-use building is set to open by early summer in a fast-emerging area. The latest Pichoslap Development's project , located at 910 Buchanan Street, will offer some commercial businesses, including a coffee shop, on the ground floor and eight, 500-530-square-foot lofts on the second floor. Managing Director, Chris Larkins, said he's excited to offer this building to the community and be a part of the district which is quickly gaining attraction. "It's the first ground-up development in the area in over 10 years. We're working on some other eateries, things like that, that I feel will revitalize the area," he said. The mixed-use project is a short drive to downtown. Larkins said the eight condos have already been pre-sold. Each will have 11-foot ceilings, concrete floors, with granite and high-end finishes and a deck. "Wanted to do something that would bring the neighborhood up but at the same time provide housing that was attainable. So we built half-million dollar homes in the area. These are all priced under $200,000," he said. Other business owners on the street are ready to have the development attract more foot traffic. Robert Higgins Jr. owns the craft cocktail bar Minerva Avenue a block away. He said what Jenkins will offer still fits the historic feel the street is known to have. 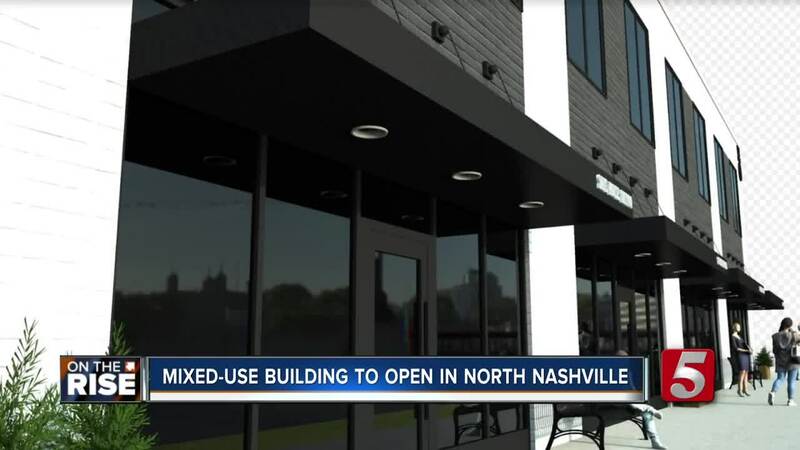 "I think it fits exactly what north Nashville, Buchanan Street is trying to do. Being music, being art, being such a place that is so inclusive to everyone. As a business owner, I feel like it's great for North Nashville and what the area is ready for," Higgins Jr. said. When it comes to gentrification, Jenkins understands both sides of the topic. "Gentrification is hard, it's complicated. I have a mixed background I grew up living in motels and my car and also million dollar homes. Being the renter and the landlord, evicting and being evicted. I see both sides of that and unfortunately and fortunately gentrification happens. There's going to be pain involved and there's going to be pain in some people having to move out. There's small things we can do as the developer, bigger as the church and city. 42% of the household here are run by single women. That's twice as much as the rest of Nashville, the crime level is astronomical. If you don't do anything, then what are you doing," he said. Jenkins is currently working on two other developments. A town home project in the southwest part of Nashville near Charlotte and White Bridge and an industrial office space project in Mt. Juliet.